Indoor venues at the Arboretum are as delightful and memorable as our gardens. They are all located in an exceptional facility, the Ruby C. McSwain Education Center. 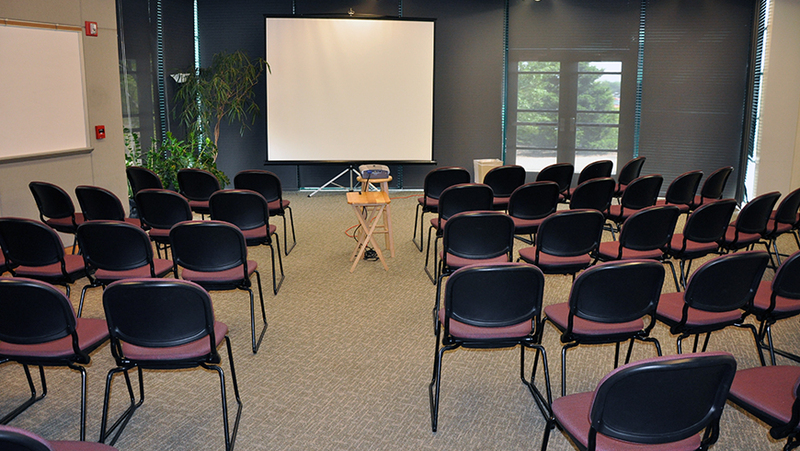 Event spaces are available for both large and small events and there are a wide variety of room setup options. Each event space opens directly outside onto the beautiful south terrace and large windows provide a stunning view year-round. There is an additional fee required for the exclusive use of the south terrace. A hallway outside the event rooms is available for your registration or catering setups. Food and catering is permitted in all indoor areas and on the south terrace. 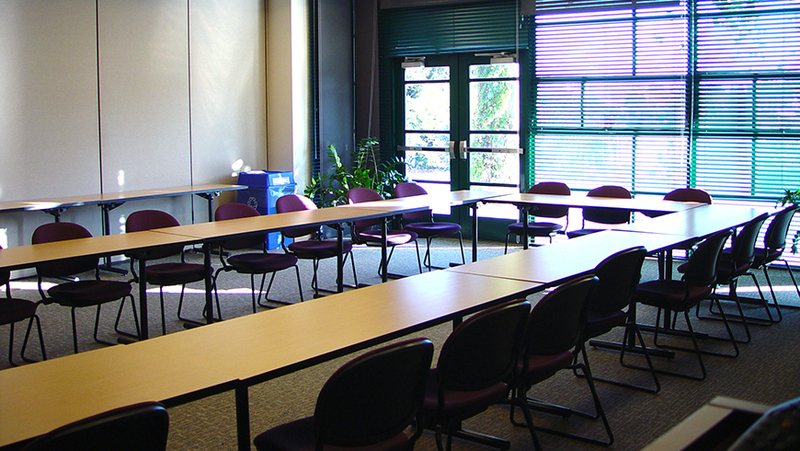 Full kitchen facilities are available only when the York Auditorium or Event Room 109 is rented. And as always, the Arboretum staff will work closely with clients to make every event go seamlessly. For more details on the indoor rental spaces, please review our Indoor Space Information Pack or contact our rental coordinator at (919) 513-7457 or jcrarentals@ncsu.edu. With a long wall of garden windows overlooking the south terrace, the York Auditorium is wonderful space for large groups. A combination of event rooms 105, 107, and 109 opened up to form one area, the auditorium also offers easy access to a full kitchen. The south terrace and/or hallway are often used for catering set up. The beautiful outdoor south terrace is available to rent for exclusive use when the York Auditorium is rented. Medium-size groups will find this soundproof room to be an excellent choice. Gorgeous view is provided by large windows. Catering and food is permitted, and there is direct access to a full kitchen. This room can be combined with 107 for additional space. 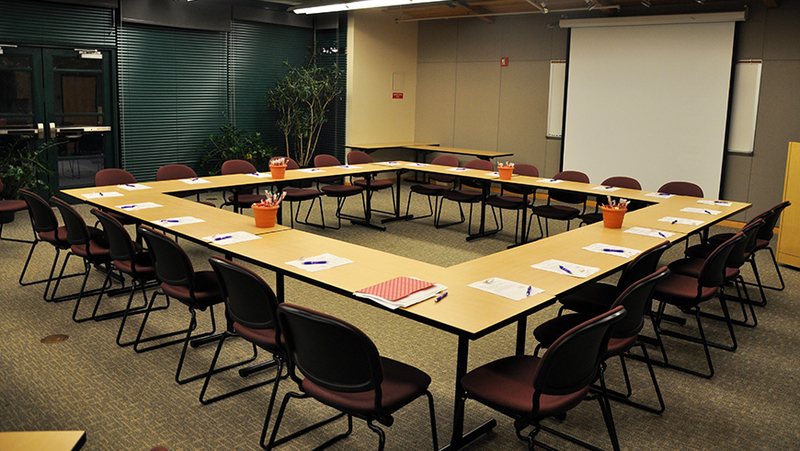 Smaller, more intimate groups will find this soundproof room to be a perfect choice for their event. Large windows provide a beautiful view outside. Catering and food is permitted, but there is no kitchen access. This room can be combined with 105 for twice the space. Medium-size groups will find this soundproof room to be an excellent choice. 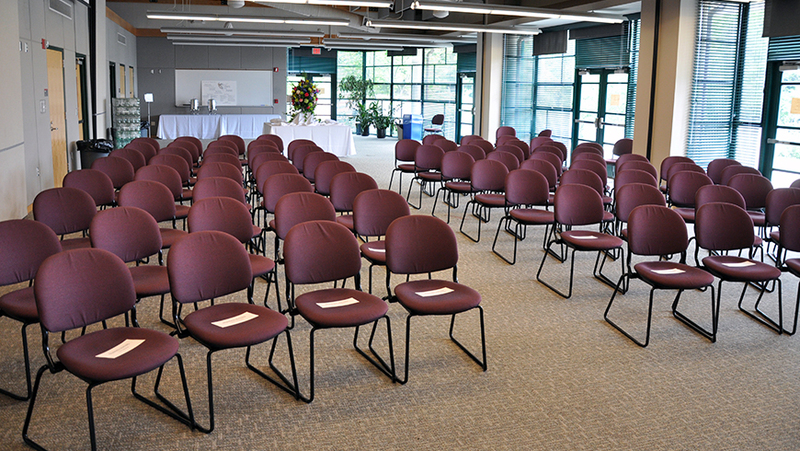 Its large windows offer the best view of any of the three single event rooms. Catering and food is permitted, but there is no kitchen access. *This room can be combined with 107 for twice the space.